Internship programs are part of GSIX corporate practice and culture since from the early beginnings. The internship advantages stay in the fact that it closes the gap between the formal education and the real-world industry challenges. Thanks to these internship programs we are continually meeting the youngest and most talented minds from the IT industry. 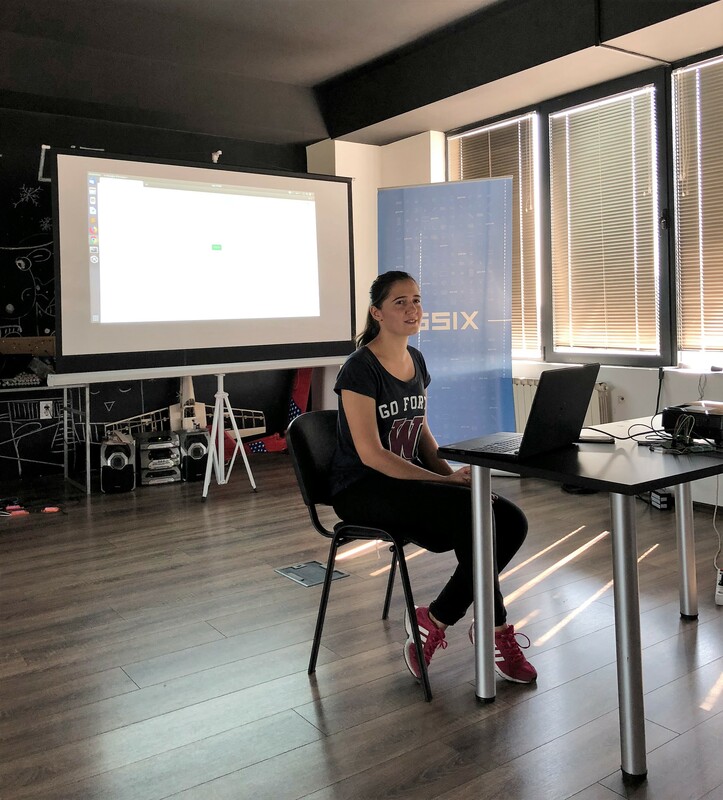 In the past two months, the winning team for the GSIX Alexa challenge at the event Skopje Hackathon was enrolled to participate in the summer internship program. Hereby, this is the interview with the team members and their impressions from being our interns and working on an innovative digital product related to the latest voice technologies. GSIX: What’s the name of your team? The name of our team is simply “The Alexa Team”. All the team members, Ivan Trajkov, Teodora Mladenovska, Bojan Sofronievski and Milena Kukolj, believe that life is all about overcoming various challenges. That is why we decided to be a part of the hackathon challenge. 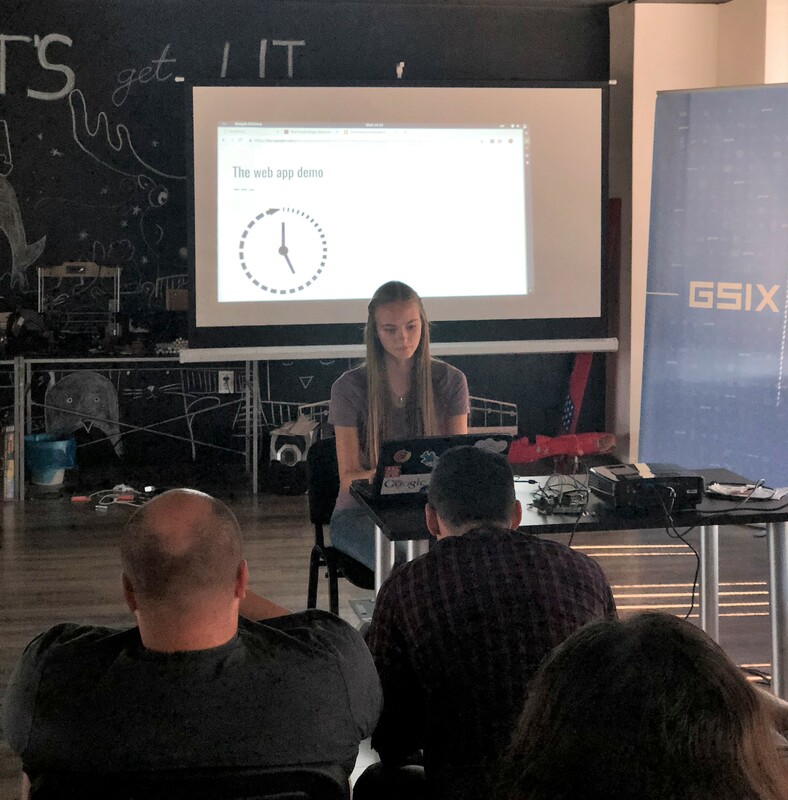 GSIX: What are your key mementos from the Skopje Hackathon where you’ve won the prize for the GSIX Alexa challenge? The interesting thing was, we didn’t all know each other. I (Milena) was there with Ivan, and we were searching at the idea pitching for an idea that best suits our abilities. So, there was Bojan with his idea to build a skill for Alexa, that seemed as a fun and easy thing to work on. But it turned out to be a real challenge. We asked for a place in the team, he accepted us. Then he told us that there was one more member – Teodora. We’ll remember the experience of all the helpful people, the wonderful food at Public Room, and of course by the good organization of the event. In addition, working with the incredible team, surrounded by people who are willing to help you at any time, desire to upgrading your own knowledge and to learn something new and the challenge to create a new product for two days were also part of the highlights. GSIX: What is the product you’ve built for the challenge and during the internship? We decided to use Alexa skills to make people’s life simplified. In particular, we manage to make software that enables Twitter users to save their time and using Alexa to post, search and read Twitter posts. 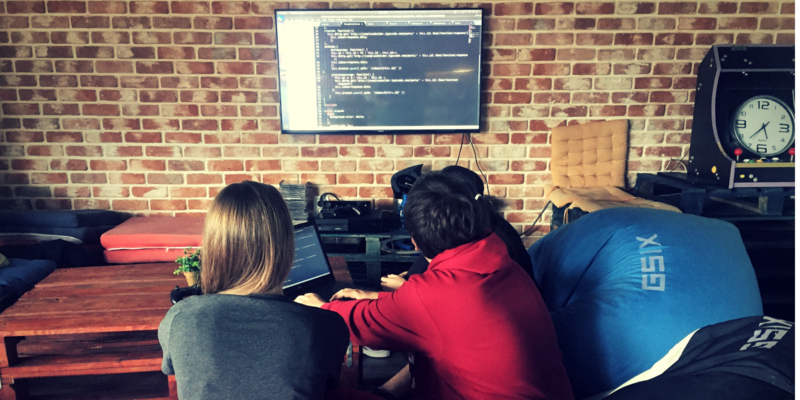 While being interns at GSIX, our team was divided into several areas for full implementation. At the moment we’re working on front-end section and preparing the web page for our product. The web page is almost finished. It only remains to be connected to the back-end. GSIX: What are your impressions from working at GSIX where you’ve been welcomed to continue developing the product? 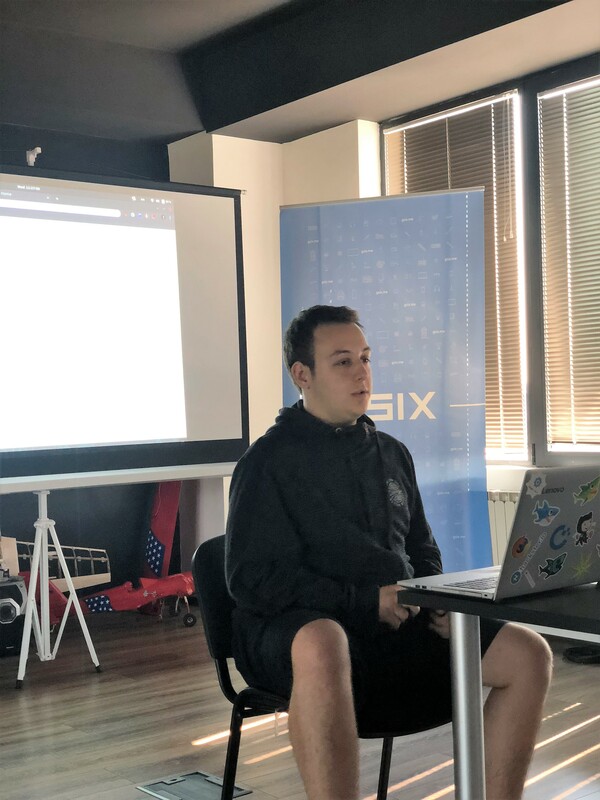 When we got the invitation for the internship in GSIX we were very happy and satisfied. This was our opportunity to continue developing the product. At the beginning, we felt a little unreliable because it’s been the first time to work in a company. But the positive energy of employees, their approach to us as interns and everyday assistance that they gave us had overcome these barriers. We receive help from the developers every time we need it. They seem like a big family, which is what every company strives for. They have a very enjoyable work environment, where you feel free to work on your project while still retaining your life energy. We often have meetings specifically about our project. In addition, there are weekly meetings which are quite cool, they are keeping everyone up to date, making the relationship between the co-workers last. All in all, it is a great experience. GSIX: How does it feel to be part of a software development company, working on a real project and building a product? Firstly, we saw they’re friendly coworkers and not at all self-absorbed. There is an opportunity to learn and grow. That is important to note since it takes away the pressure from having to know everything before you start working on a project. Meetings are really fun, they are like checkpoints. You say what you’ve done since the last meeting and what problems you’ve encountered and also share your future plans. The thing that was at most brought to our attention was just how much stuff there is to be learnt. As conclusion, great things in business are never done by one person. Instead, a team of people is doing it all. The difference between success and failure is a great team. Learning new things is a constant process, therefore, never stop trying, never stop learning. And don’t be afraid if you are not inspired to do something. At the end of the day, inspiration usually comes during work, rather than before it. GSIX: What are your big plans for the future after finishing the summer internship program? As junior students, our plans are to finish university and to find a job in a software company. We’d like to continue working in the IT industry, but other than that, nothing certain. We have a mission to collect experiences. Experience all the things life has to offer, jump into all kinds of challenges and learn from them. We’d like to work with different minds, listen and learn from their struggles. GSIX: Give an advice to your generation and all the coders-wanna-be. The most difficult step has ever been the first step. It comes with doubts, uncertainties, and all sorts of fears. Never reject the opportunity to take the first step. The first step is the key to obtaining the experience you have longed for. Sometimes you will have challenges that will not be easy to handle. You should understand them as a competition and continue to compete. If you set a goal that you need to accomplish, then the hard work will help you to achieve them. Don’t waste your time, If you’ve got an idea, start today. There’s no better time than now to get going. There’s always small progress that can be made to start the movement. Try your best to defeat the laziness, it’s going to be worth it.